It's pretty unfortunate that such a great game shows so many symptoms of a rushed game. It is certainly a flawed game; however, many people will go so far as to say it's bad. But in my opinion, that's where they're wrong. While the lazy implementation of Blue Coins and the awkward camera controls can certainly impact the experience, it's still a great game behind those flaws. I liked the implementation of FLUDD and the way it innovates gameplay. Yoshi was also really fun to use, even if it meant avoiding water. It may not be perfect, but behind a few minor flaws there's a lot of fun to be had, and that's really what matters most. As everyone probably knows already, I love this game. It's fun, it's creative, but perhaps the most controversial attribute of this game is its sheer length. I personally liked how long it was; it really increased the life of my game. I also loved the Hard Mode, which basically made you start the game from the top and really builds up the challenge. The Real World was great, but the most creative and fun parts of the game were all in the Dream World. And I haven't even mentioned the soundtrack yet; it's probably the best in the Mario franchise (imo)! This game remains my favorite RPG, and is one of my favorite games of all time. If you have a problem with the controls, blame the system, not the game! This game is outstanding on a 3DS or Wii U. While you can still only move in eight directions, 3D Land had this same kink and got away with it. This game takes everything that made the original game great and builds upon it. It adds 30 new stars and 3 new characters. The only real downside to the DS version compared to the original N64 version is the fact that a lot of players just want to be Mario, which the game prevents them from doing until later. But overall, this game is just as great as, if not better than, the N64 version. 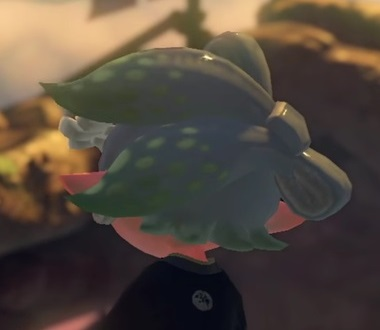 If you find any good Marie fanart, send it here! - Super Smash Bros. Brawl (Wii) - It's bad for competitive play, but nearly every other element of the game is outstanding. - Super Mario 3D Land (3DS)- Pure, action-packed 3D platforming fun. The way it just has the pure gameplay without any extra stuff makes it feel like Super Mario Bros. I wouldn't recommend that for any Mario game (especially not console ones), but it works great for 3D Land. - Both Super Mario Land games (GB) - Solid platformers that have been largely ignored over the years. They're not as good as most of the classic console 2D Mario games, but they deserve some more recognition. - Mario Kart: Super Circuit (GBA) - It's almost always ranked lower than Super Mario Kart despite improving on that game in nearly every way. - Mario Party 8 (Wii) - It's not that underrated, but it's not a bad game like some people think. It certainly isn't the best Mario Party, but it's still a good game and far superior to 9 and 10.
Credit to several artists for my avatars, see this post. Also click the above image for nice music! This signature officially occupied by the taste of ginger since August 14th, 2009. Feeling down? You may already be a charge target. 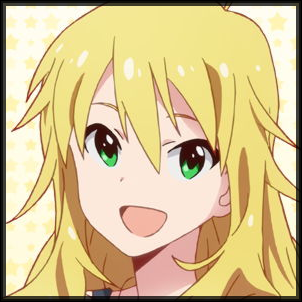 Stella Glow is pretty good for a game that just appears as generic weeb *bleep*. I wouldn't even be able to tell you exactly why, it's just enjoyable the whole way through. well executed game that knows what it wants to be and goes hard. Wario's Woods is a one-of-a-kind puzzle game that involves destroying monsters with bombs, but I am mainly referring to the SNES version that's underrated. You see, whenever this game is re-released, it's always the NES version. To be fair, its status as the last NES game to be released is significant, but I feel that the SNES version is superior because it has the advantage of CPU battles, which is way better than attempting to blend bosses into Round Game. I also feel that the SNES version has better music, and it looks prettier. Really hope that the gameplay of Wario's Woods gets re-released because I feel it has a place in unique action puzzle games. Okay, I haven't played Sticker Star, but I heard it's bad. And apparently, Color Splash is supposedly bad because it's like Sticker Star. But I've played Color Splash, and it's not bad at all! Actually, I've heard that it improves upon Sticker Star. For one thing, the stripped-down combat puts an extra emphasis on strategy, and the paint system is a great addition. And instead of EXP, you're rewarded with Hammer Scraps after battles, which grow your paint hammer. This really removes the pressure to "battle every enemy" in favor of a more relaxed play style. Of course, I haven't played the other games in the series, so I can't rank them, but this game deserves more credit than it gets. Agree and that is exactly why I love it so much - my biggest impression of it is that it's pretty much distilled gameplaying fun and does exactly what Super Mario platformers do best - putting a smile on my face. Sometimes I open the closet and just gag. I have a lot of fond memories of 1080° Avalanche on the Gamecube. It's a first-party Nintendo game that seems long forgotten. Let's just say the snowy aesthetic got my sister and I through some rough 40°C days. The soundtrack also had a solid lineup of licensed songs as well, including artists like The Offspring and Finger Eleven. I also really enjoyed Whirl Tour on the Gamecube. It had some interesting collision-detection bugs but I had a lot of fun combo-ing tricks together to inflict ludicrous amounts of damage on the baddies. Reviews seem to suggest it's just a buggy Tony Hawk clone so maybe I should check out that series as well. Heard good things about it but never owned any of them. The fact that you agree with me lends more credence to my opinion since you're a big fan of the NES Mario platformers, so that's cool. Super Paper Mario: because I consider the first 3 games a set and I still can't fathom how anyone could lump this game that still had a ton of unique characters, the chapter format and a detailed story/lore with the 2 later games which served as a reboot, got rid of those things and only used basic Mario stuff. The only PM game that experimented with its gameplay that still remained excellent IMO, because it didn't also *bleep* with those other aspects and recurring elements. Really the only negative opinion I can even understand is that strictly the gameplay is worse than the first 2, but the other aspects still keep it from going as low as the later games. The spirit of classic Paper Mario was definitely still there and I don't understand such a split on this game. 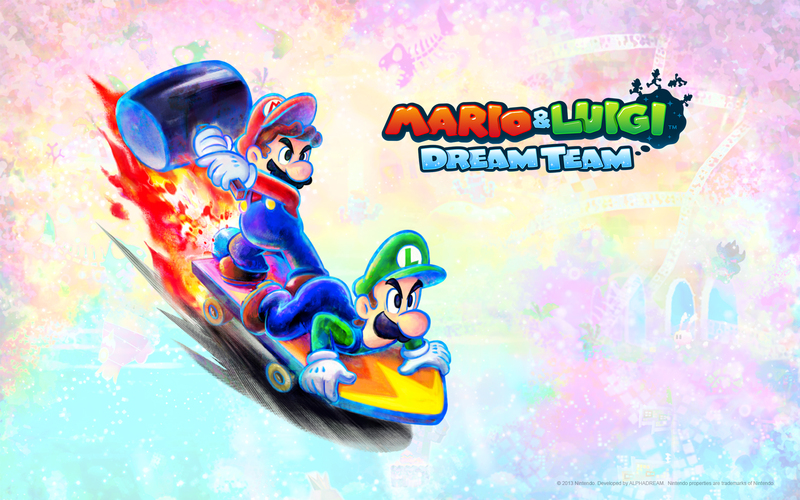 Mario & Luigi: Dream Team: Even though Mario & Luigi is made by different devs than Paper Mario, in 2012/13 I was incredibly paranoid about Mario RPGs in general after Sticker Star. I was incredibly relieved to see this game still having all the unique characters and settings the rest of the games are known for. I also don't have an issue with its length, as in my opinion the longer I spend exploring and enjoying the game, the happier I am, and it's not like you were repeating the same layouts. For its length it managed to have you visit previously inaccessible areas in each region the second time, so the tasks and puzzles weren't just "do x in x place again." But of course the story and characters are again my main reason for liking the game. It was the first game to bring back characters from past games other than Fawful and let them shine again. The whole thing felt like it was almost designed to be reassuring to M&L fans, "regardless of what Paper Mario is doing, we still value our characters and here's proof." Of course the next game put doubt back in my mind and I still think that was one of the biggest missed opportunities in the franchise, with the fanservice-valuing AlphaDream holding in its hands Mario & Luigi and a very-in-need-of-their-Dream-Team-mindset Paper Mario and yet Alpha Dream picking that moment of truth to, for the first time, limit themselves and avoid what could've been the ultimate Mario RPG series love letter. Think Super Smash Bros. Ultimate for the Mario RPGs. That's what they picked Paper Toads over. If there was ever a time I doubted them it was then, but thankfully they're back to their normal selves with these remakes of the classics. As for Dream Team, I may still prefer Superstar Saga and Bowser's Inside Story over it, but I really can't fathom how it often gets ranked below the incredibly by-the-books Paper Jam. Didn't receive all that flattering reviews (like a 60 on Metacritic) because it could get repetitive but, it's still a very well-made Diablo/Torchlight clone that still feels very satisfying to play and any fan of that hack and slash dungeon crawler genre would still get a kick out of it. I like the character designs and the sci-fi setting (do we have a sci-fi themed Diablo clone yet? all the ones I've seen are medieval/fantasy ones ie Diablo Torchlight Path of Exile), the character squad mechanic adds something to the genre where you can have up to three guys and swap between them in levels, and it brings back the coveted Spore creature creator mechanics to customize your character (would be even better if you can adjust the playable character's spines and limbs but I guess you can't have everything I suppose). It's a huge shame literally no one can even play this game any more, since online-DRM killed it. Thank you EA on your war on piracy, you *bleep*ed over paying consumers you dickheads. Was overhyped prior to release, yeah, (screw EA) but I wasn't part of the hype so therefore, I fell in love with this game, even influenced the design of my character (many of her parts were made from Spore: Galactic Adventure parts, an excellent expansion pack of the game). The creature creator is by far the best custom character design feature in any video game (made even better with mods), probably the only major issue with it is the paint job options. Building and vehicle creation are fun, but Spore: Galactic Adventures even lets you create worlds and stories you want to tell, having a really powerful 3D world builder that takes advantage of all creators. This game was made to advertise the new Volkswagen Beetle but it turns out to be surprisingly very great. Only 6 tracks in the game but they're all very huge and highly detailed, having so much routes to pick from and so much stuff to see in their race tracks. I think it's actually rated just right by people who aren't into that sort of thing but I really really love this series so much. It's more of an unpopular opinion of mine than underrated, really. Same could be applied for Mario Sports Superstars. Aaaaaand there's a bunch of great-looking games I didn't know of that I saw of I really want to play that I'd like to see discussed more in general. Can't really list 'em here because I don't know how underrated they are plus I never really played them myself. admittedly i haven't actually played this one a whole lot (i have commitment issues when it comes to strategy games and rpgs) but from what i have played of this it's great. it's kinda like fire emblem but in a more modernish (think guns and tanks) eurpoean setting and you actually control each unit directly (so kinda like codename steam i guess...?). 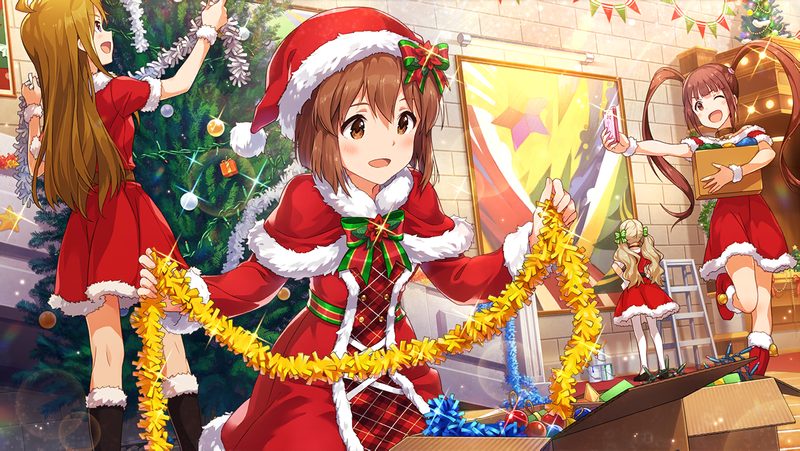 it's also got a really pretty storybook aesthetic. the fourth game is coming to switch soon (and the first is as well but only in japan for now) and there's a demo for it, so i would wholeheartedly recommend everyone check it out so you can understand what it's like. 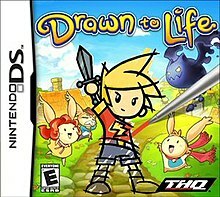 It's weird how these games don't seem to come up that often when discussing hidden gems on the DS, it's a shame because I absolutely love this series and am seriously bummed out by the fact that we probably won't see a new game unless they retcon TNC (DS)'s ending or maybe do a prequel expanding on Wilfre's origins. The basic idea is that you get to draw your own protagonist as well as various weapons and objects spread across the levels. The first game and TNC (DS) both have surprisingly enjoyable stories as well, the Spongebob edition is a bit of a oddball that has absolutely nothing to do with the other games but is probably the closest thing we'll get to a sequel to the "Frakendoodle" episode. 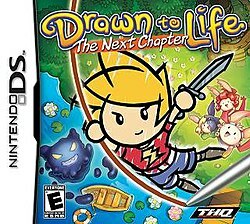 (At least before "Doodlebob Returns" aired) It's also important to note that despite sharing the same subtitle, TNC (DS) and TNC (Wii) are basically two entirely different games, with the DS version being the superior one. 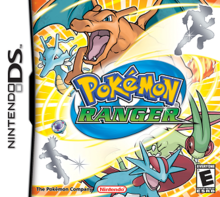 Yeah yeah you've probably heard me gushing about these games before while simultaneously begging GameFreak for a Pokemon Ranger 4 but I simply just can't help it, these games are AWESOME and deserve more love. 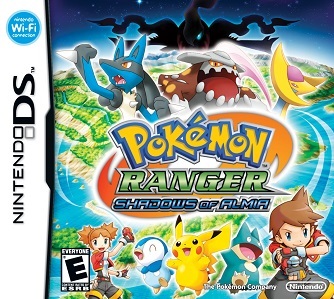 I mean Pokemon Mystery Dungeon was able to get TWO games on the 3DS, but Pokemon Ranger didn't even get one and it's been about eight years since Guardian Signs came out. As a Pokemon Ranger, it's up to you to protect nature and the people/Pokemon using your handy-dandy Capture Styler. You draw circles around Pokemon to calm them down and convey feelings of friendship to them, but you gotta be careful as they'll try to attack your Styler or the trail that it leaves behind which can damage it. Once you complete the capture you can use the Pokemon's abilities to help you deal with environmental hazards or aid in other captures to give you an edge. Mega Man 7: I believe this is a great game to recommend to newcomers to the Mega Man series. You could say the same for 2, but this game has a fun experience with fast paced action...plus I love grinding for bolts on that cloud stage. Star Fox Adventures: People complain that it’s not the same shooting, barrel rolling flying game the series has always been. While the combat is repetitive, the exploration aspect brings something new to the Star Fox series that I honestly wish Nintendo utilizes more, the music is very atmospheric especially in Thorntail Hollow, the boss battles are extremely fun, and it’s an overall satisfying Swan song to Rare’s days with Nintendo. Donkey Kong 64: While the backtracking can get redundant in some areas, the fun of DK64 is the atmospheric music by the awesome Grant Kirkhope (Crystal Caves is my favorite piece of music he’s composed), the bosses while easy are very creative and fun, some of the mini games (Not The Minecart one, the slot machine, and the bug racing) are pretty entertaining and the humor is the same Rareware humor I’ve come to love. I would say Sonic Unleashed on the Wii/PS2. The game has it's fair share of problems, but when on certain stages, it can be an absolute blast to play.